Liz grew up loving the outdoors and living near the water in South Houston, Texas. She became a trainer 2008 and taught multiple fitness classes through 2014. In 2010 she became a licensed massage therapist and began practicing massage therapy as well. In 2014 she started her degree in Physical Therapy at University of St. Augustine in Austin, TX. 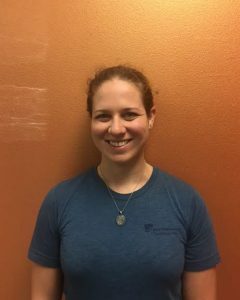 “I enjoy providing a variety of types of massage, including Swedish/relaxation, deep tissue, reflexology, prenatal, trigger point, and others.” Liz is currently working on obtaining her Physical Therapy license. She enjoys hiking, staying active, music, and art.